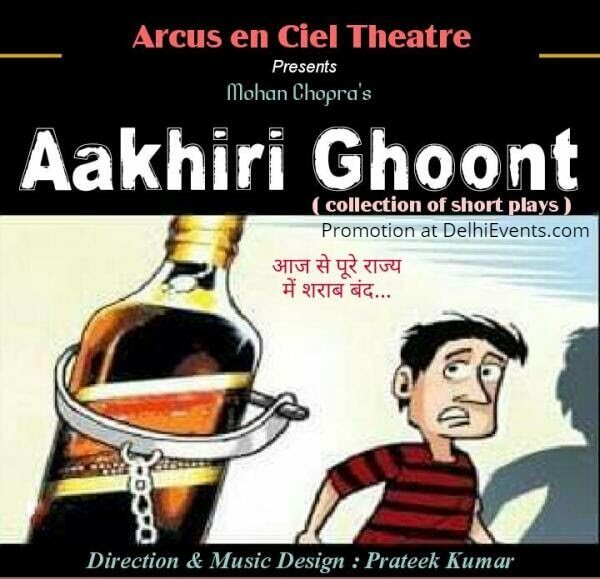 Event Description : THEATRE : Arcus En Ciel Theatre presents "Aakhiri Ghoont" Hindi Play. Aakhiri Ghoont is a political satire on so called liquor bans. For the rich, rules are meant to be broken. The masterpiece written by mohan chopra was relevant decades back as well as today.